Many parents will have laughed at their children’s babble before. 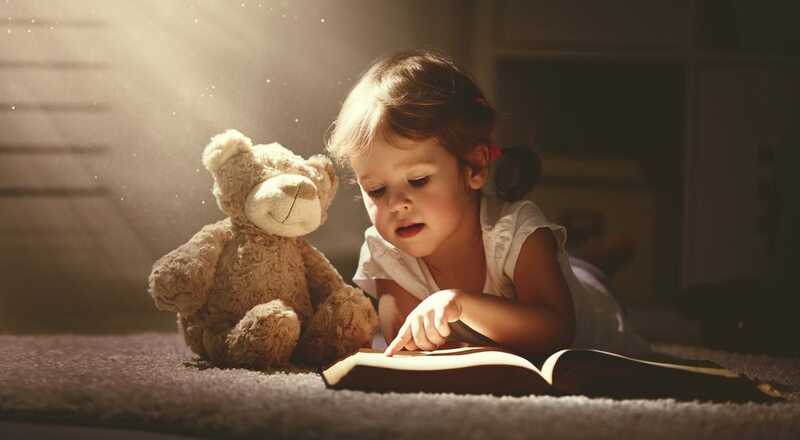 Whether it’s talking about what their imaginary friend was up to at the weekend or creating impossible stories of action and adventure, we often dismiss young children’s tales as just that – tall tales. But what if your kid’s stories were more than that? What if they were actually memories. Whilst there is no proof for reincarnation, there is still a lot of belief for it, especially in the psychic world. And many people have come forward with unexplainable instances of people discussing events from an age ago that they could not possibly know without having been there. One of the most popular theories is that we have all lived multiple past lives, and our minds are trained to forget them all so that we can fully live and enjoy our current life. However, some people who are very psychically attuned can remember snippets and fragments of their past lives – especially children. Children who are psychically inclined are thought to be able to remember past lives because they’re relatively new to their current life, compared with grown adults. So that gibberish your child is talking might not be gibberish at all! If you think your child might have lived another life in the past, here are some signs to look out for. Of course, different children have different personalities and some can be more mature than others. But children who seem particularly wise beyond their years or those that tend to gravitate towards, and prefer being in the company of, adults, could have had a past life. Similarly if they are very quick to walking, talking and other development stages compared to their peers, it is thought that they could be displaying skills and knowledge they have previously learned in another life. Everyone is good at something and with a lot of dedication and practice, we can all learn a new skill to a high standard. However, if your child has a special talent with no previous training or practice, it could be that they’ve actually learned how to do it in a previous life. For example, do they have an inexplicable natural talent for the piano? Did they hop on a bike for the first time and just ride off like a pro? Chances are they’ve done it in a past life. As we grow up, have experiences and learn about different events and subject matters, we discover what we are and are not interested in. School is the perfect example of this. Some children are fascinated by history and specific events such as WWII, or specific times such as the Tudor period. But some children develop a fascination and an obsession with either a specific time, event or subject before they’ve been taught about it. This can be because they lived in that time, had a job in that field or were at a specific event during their previous life. The most obvious indication that your child has lived a previous life is them explicitly discussing it with you. There’s no reason your child would be ashamed or uncomfortable talking about it so it may crop up in general conversation. Have they ever said something like “oh my other mum didn’t like grapes either”? Or referred to a place you’ve never taken them, and been able to give specific details of it? These could be memories from their past life. They may even talk about a job they used to have.